Alvin York was born on December 13, 1887 in Pall Mall, Tennessee, near the Kentucky-Tennessee border. His family struggled to escape poverty, and the situation worsened when his father died in 1911. Overwhelmed by the responsibility of caring for his family, he began drinking and fell in with a rough crowd. After several years of fearing that her son was bound for an early grave, York’s mother finally persuaded him to give up alcohol. Embracing religion, he helped his pastor found a new church that preached strict obedience to the Bible. This more mature behavior attracted the attention of his younger neighbour, Gracie Williams. After a courtship, they fell in love and planned to wed but he was drafted after the United States entered WWI. Unwilling to disobey the Sixth Commandment, Thou Shalt Not Kill, York tried but failed to obtain conscientious objector status because nothing in his sect’s creed forbade killing. Although forced to enlist, he still refused to kill until his company commander relied on an impressive knowledge of scripture and the People’s History of the United States to convince York that he can defend his country’s freedom by killing. When his unit took part in the Meuse-Argonne Offensive, York’s sharp-shooting skills enabled him to kill numerous German machine gunners and capture 132 prisoners, becoming America’s most decorated soldier. Returning to the United States, he found that he is a hero and began a crusade to build a school for the poor children in his valley. The movie starts in the spring of 1916. Despite Mother York’s stoic nature, she is clearly embarrassed by her son’s drinking. After falling for his much younger neighbour, Gracie Williams, York wants to buy a piece of land that is more fertile than his family’s farm, hoping that it will persuade Gracie to marry him. Given only 60 days to raise the money, he works day and night. Despite his labors, there simply is not enough time, so York enters and wins a shooting contest that gives him the rest of the money needed to buy the land. Learning that the farmer had already sold the land to his romantic rival, he drowns his sorrows in drink until a sign from God drives him to repent of his sins. He embraces religion and Gracie agrees to marry him but President Woodrow Wilson has declared war on Germany. Unwilling to disobey the commandment Thou Shalt Not Kill, York tries to obtain conscientious objector status but fails. Although forced to enlist, he still refuses to kill until his company commander relies on an impressive knowledge of scripture and the People’s History of the United States to convince York that he can defend his country’s freedom by killing. Following his successful capture of numerous German prisoners, York receives the American Congressional Medal of Honor and is promoted to sergeant. Returning to the United States, he finds that he is a hero. The fictional York family is made up of Mother York, Alvin, a younger brother and a sister, and they lived in a relatively large house that only has a single room. However, the real York family had eleven children, although the two eldest sons had already moved away. York drinks at a saloon that straddled both sides of the Tennessee-Kentucky border. Although it is not explained in the movie, Tennessee men would drink on the Kentucky side of the saloon, and Kentucky men on the Tennessee side so that the owner would not have to pay taxes. The fight in the saloon is entertaining but the genuine saloon was a dangerous environment since the men often used knives, as well as fists, to settle disagreements. While the initial motivation behind the screen York’s decision to stop drinking is to earn enough money to buy a farm and marry Gracie, the actual couple’s courtship only started after he had given up alcohol. The fictional Gracie is charming but much more glamorous and forward than the real Gracie. While the movie does not hide his bad reputation, it ignores the fact that her parents would not let him court her, so they met in secret. York’s efforts to raise money to buy the land is not the most accurate part of the movie, but it does show the back-breaking nature of farming back then, including ploughing a field with a horse, taking rocks and tree stumps from fields, and splitting logs to make rails. While the movie appears very religious, it greatly understates the dominant role that religion played in York’s life. The entire storyline of York working hard to earn the money was intended to reduce the image of him being a religious fanatic by introducing a love interest and the desire to own a home, ideas that everyone could identify with, thus attracting a wider audience. The turkey shoot is a perfect representation of the real shooting competitions. Contestants did shout at the shooter and it was extremely difficult to get the turkey to show its head. However, the truth behind his redemption is less dramatic. His mother finally got through to him, although there are rumors that he was shocked into sobriety by the death of a friend in a barfight. Also, the story cuts out the week-long revival meeting that took place soon after his redemption, and the newer, stricter church founded by York and his pastor. The key scene where his captain and company commander try to convince York to accept promotion to corporal is extremely faithful to the actual events. Having received ten days leave to think about whether it is right to kill to defend your freedom, York did return to Pall Mall and hike up to a place high in the hills where he could see the whole valley, but he had first spent several days going over the Bible with his pastor to find an answer. The sign from God is more concrete in the movie because it would be very difficult for Cooper to convey that he simply felt God’s presence. Realizing that most urban audiences had never hunted turkeys, the script writers produced a quick scene during boot camp where York explains that if you want to get a whole flock of turkeys, you shoot the furthest one first and then move up to the front. Although the section of the movie set in the trenches only hints at the terror of suffering through an artillery bombardment, the pivotal scene where he saves his unit is astonishingly accurate. The treatment of the screen York when he returns to the US is correct, even showing that he was touched by the picture of Mother York in his room at the Waldorf-Astoria. A huge number of endorsement offers piled in but they were all rejected because he refused to profit from killing. Aside from minor details like the fact that the family was waiting at home, not at the train station, the only part of the film that does not ring true is the public nature of his relationship with Gracie. Furthermore, it took years before he finally got his dream house and the process was far from smooth. Although the first half of the movie deals with York’s redemption, the story moves along at a good pace. Huge attention had been paid to ensure that the set design was authentic, and it shows. The cast is made up of an impressive number of character actors, including Walter Brennan, Ward Bond, Noah Beery, Jr., and Elisha Cook. Brennan is great as the pastor and Gary Cooper has the requisite bashfulness, which is probably why the real York insisted that he play the part. Playing love scenes opposite a teenager 25 years younger than him was embarrassing but Cooper persevered. While there was a substantial age gap between the real York and Gracie, it was only thirteen years. The Rotary Club of Nashville, Tennessee had volunteered to raise money to buy a huge piece of land for York, but the club was only able to raise half of the money, saddling him with a crushing debt until the Rotary club finally paid off the farm in 1922. Despite his earlier reluctance to kill, Alvin York became a determined believer in meting out destruction on America’s enemies, stating that he would press the button to bomb the Soviet Union. York had initially wanted the movie to focus only on the religious salvation and his efforts to build a school for his valley. Cooper and Harry Warner, one of the founders of Warner Bros Studios, were strong advocates of American intervention in WWII and persuaded York to see the need for the United States to defend its freedom. York came to view the movie as a wake-up call for the nation, and being a man of principle, he began making speeches across the country calling for the United States to enter the war, despite fierce opposition from isolationists and pro-Nazi groups. It was a labor of love for producer Jesse Lansky, one of the founders of Hollywood, who had been trying to persuade York to allow the film to be made since 1919, and he had to cash in his life insurance to raise the down-payment for the rights. Cooper was initially reluctant to play a living legend, but Howard Hawks convinced him to accept the role, saying that Lansky had given him his first break. Hawks even left Howard Hughes’ The Outlaw to direct the film. The movie was made by Warner Brothers because Harry Warner liked the patriotic aspect of the story. 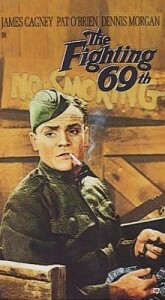 Although Warner denied it, the film had been designed to stir up Americans’ patriotic willingness to fight, thus motivating people to enter WWII. 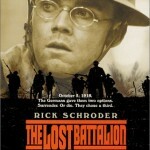 The movie had been criticized as being unnecessary propaganda by prominent isolationists who wanted the United States to stay out of the war and it had even attracted attention from Congress. The movie had premiered in September 1941 but a Senate committee forced it to be withdrawn after a month, saying that Hollywood was trying to trick the US into entering a war it did not need. When it reopened in 1942, Pearl Harbor had changed everything. The criticism disappeared and the film became the highest grossing film of the year, as well as won 2 Oscars from 11 nominations. York’s struggle with non-violence paralleled the American debate between isolation and intervention. The story works hard to show Americans that war is bad but they have to accept the need to defend the liberty that they take for granted or they will lose it.